Here's what's been happening in the month of APRIL & MAY.. Enjoying: my new office space! 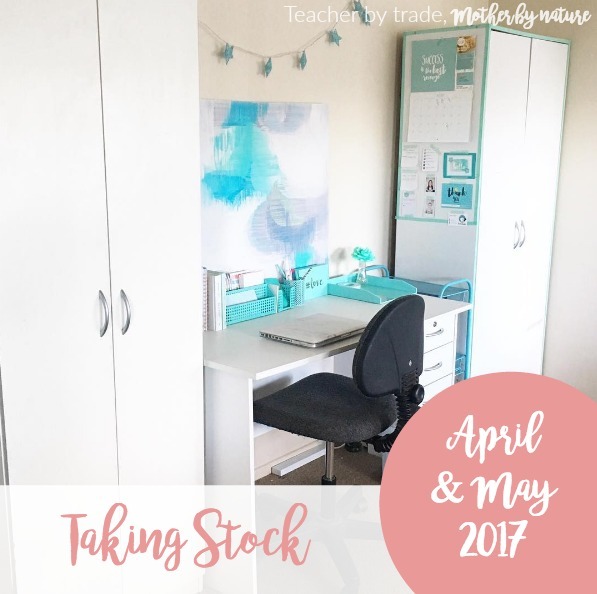 I decided to move all my teacher resources etc inside and have created a lovely workspace that is functional and 'sparks joy'. Everything I need is right there at my finger tips. I really want to upgrade my chair, so I'm on the hunt for a new one. My partner is now happy he has the whole external office space for himself and his gym. Space for him and now I have beautiful space for myself. Win Win! Looking & Reading: through my daughter's school papers. I organised them into these clear file folders. It's such a nice feeling knowing that it's all in ONE place. You can read more about it HERE. 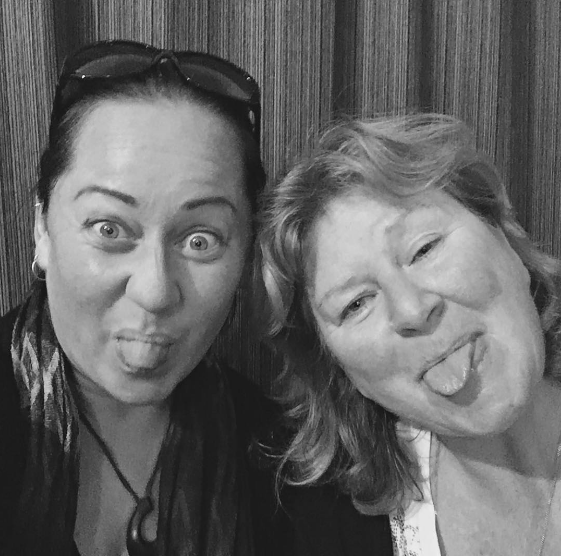 Getting: in the picture with my Mum (see pic below) & my kids. 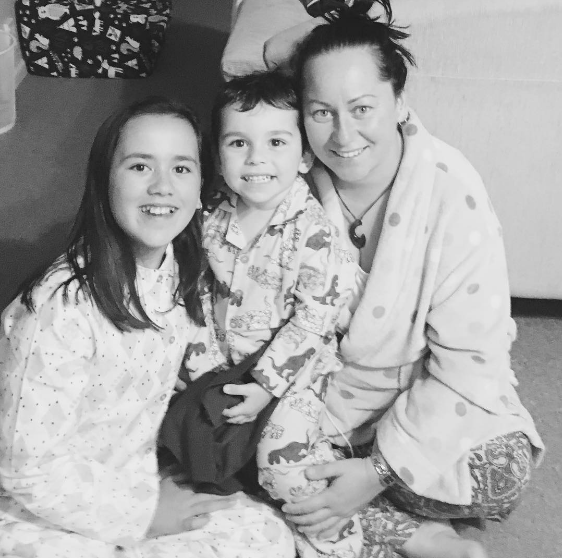 Did you get in the picture with your kids this month? Wishing: my Mum a very Happy Birthday (26th May). Love You Mum. Buying: a new outfit for a Girls Night Out with my best friends. Top, jeans and earrings from SaveMart (op-shop). 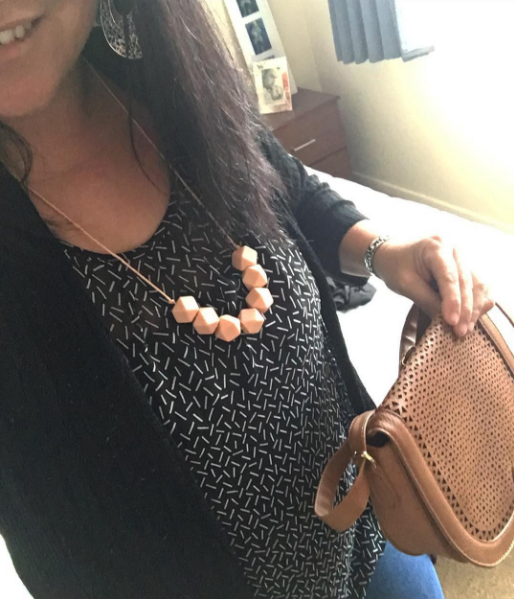 Necklace, nail polish and handbag were from KMart. Loving: my new 'Mother's Day Journal'. 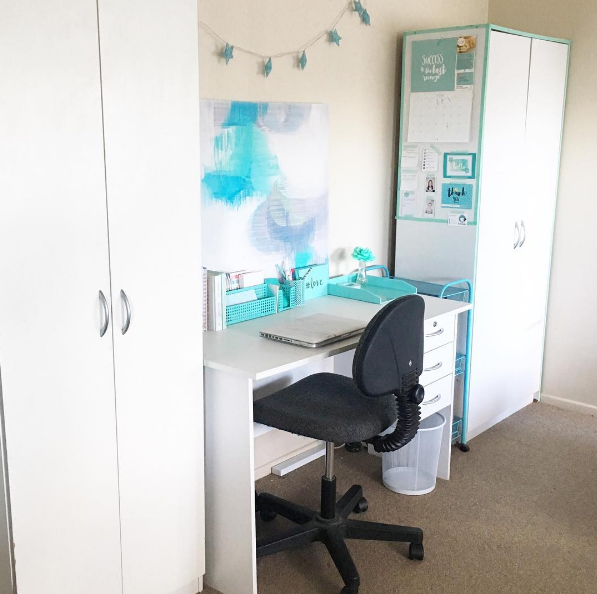 I was inspired by Bernadette at So Freaking Organised, who shared her journal on her blog. Such a great idea. I look forward to future entries from my kids. 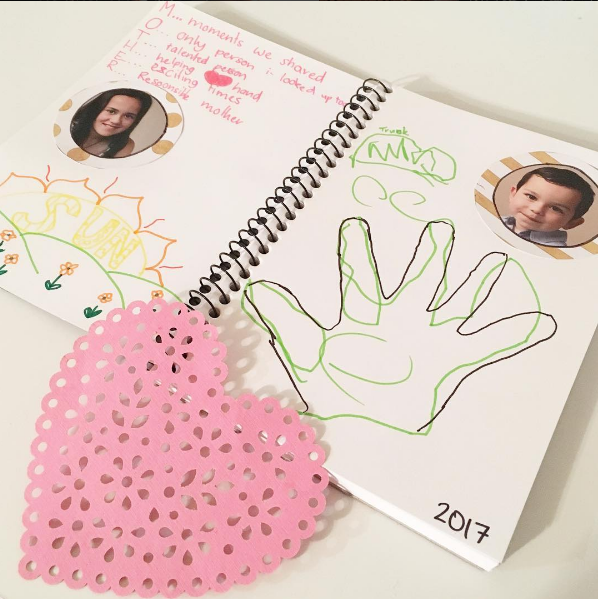 Have you got a Mother's Day Journal? Playing: with play dough and rubbish trucks with Master M.
Making: memories with my children. Our tradition for Easter is quite simple. 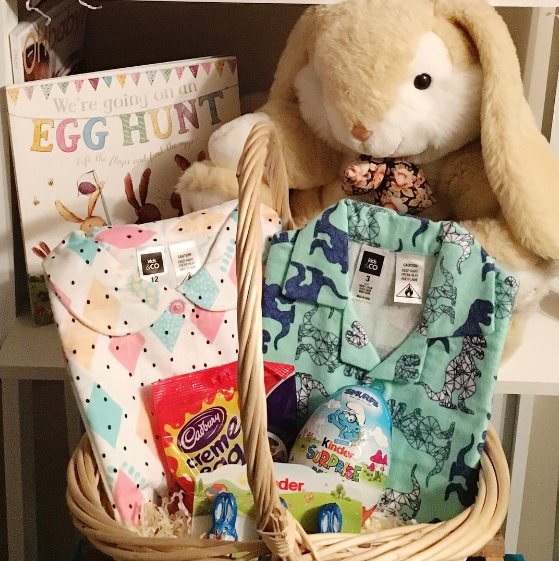 The kids get winter pjs, a small chocolate and we read 'We're going on an Egg Hunt' (I bought this last year). Does you family have any special traditions? 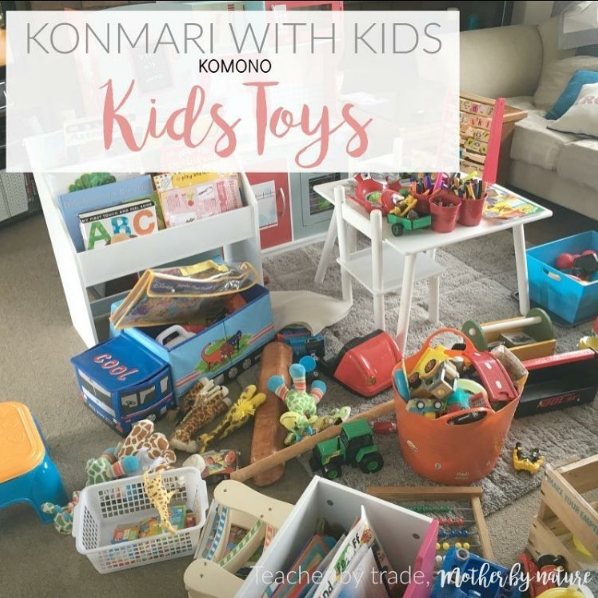 Sorting: through the kids toys! OH MY! What a mission that was. Check out the before and after posts HERE. I also finished sorting through the kids DVDs, Stationery, Crafts, Hobbies and Bedroom decor. I have ONE more category to go! SENTIMENTAL - Watch this space! Admiring: the before and after photos of an organising job, I recently was a part of, at a local school. 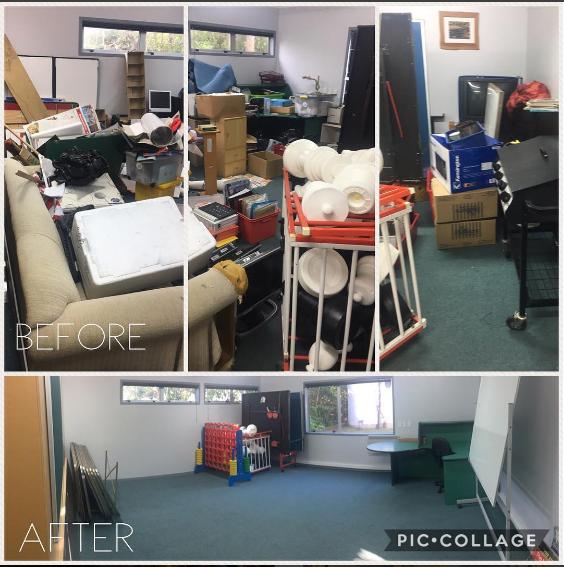 I was asked by the school to help them organise and declutter their Resource Room. It was a massive job but totally worth it. The staff were very grateful for my help. I love the after photo. Feeling: sad. 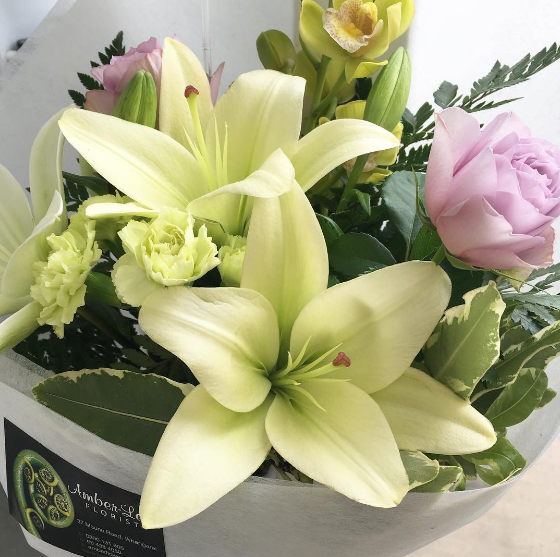 Today we farewelled a dear friend. Fly High L x We will miss you. Finding: new systems and routines to help tackle our laundry. 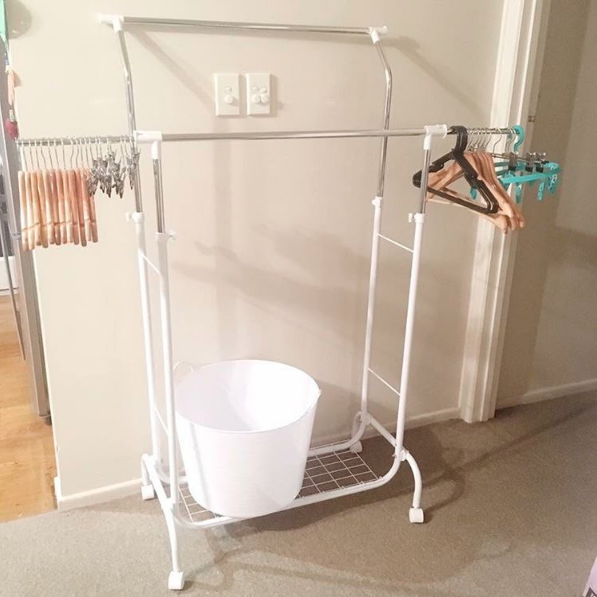 This hanging system was inspired by Leanne at Organising The Four of Us who shared her laundry routine on her YouTube channel. I've been using it for a few weeks now and I love it! I love not having baskets full of clean washing. This is going to come in handy during the Winter months. Tell me, what's been happening in YOUR world? How was APRIL & MAY for you?